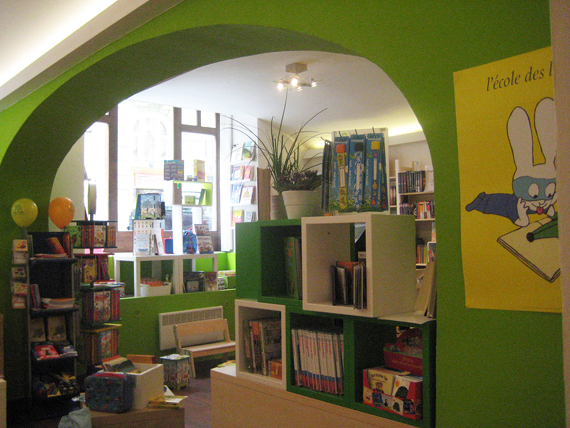 A brand-new and unique children’s bookstore recently opened its doors to the public near Angel Shopping Centre in Prague 5. 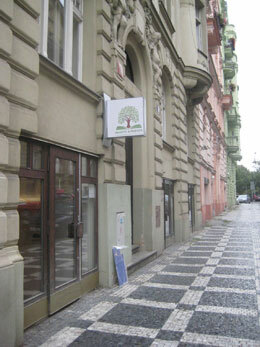 Offering books for children from the ages 0-14 in the three languages of English, French and German it is the first and only bookstore in the whole of Prague to do this. The store is set up beautifully and thoughtfully with books designated for very young readers, for instance, displayed in low-lying shelves for easy access. In each language, you will find approximately 1000 books including classical favourites, picture books, fairy tales, song-books the latest best sellers plus text and reference books (including the French Kidido encyclopedias as well as the German Wieso, Weshalb and Warum? series). The minute I stepped into Amadito and Friends, the fresh smell of brand new books took over my senses and I felt very welcome. There is a ramp, which leads all the way down, making it easily accessible for people with buggies. 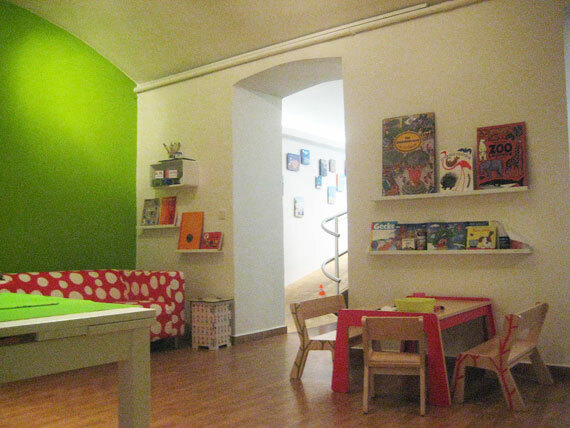 Customers are welcome to sit down and read with their kids at the rear of the store where there is a sofa, a table for colouring-in and a small kitchen with coffee and tea-making facilities. 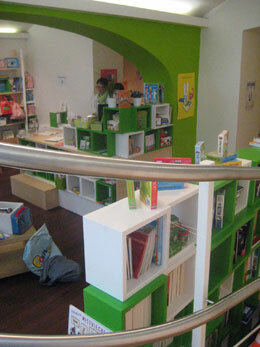 The entire place feels ‘homey’ and conducive to introducing children to the wonderful world of books and reading. It is great for anyone who would like to get easy and ready access to books in the 3 of the world’s main languages of English, French and German and is particularly useful for parents with children who may have just started learning to speak any one of these three at school or privately. 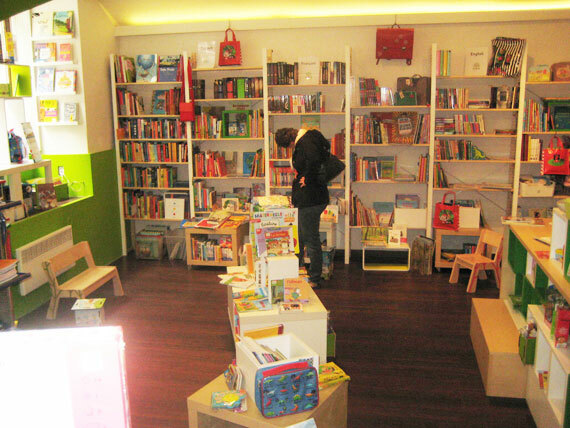 The owners Sylvie (native French speaker) and Olivia (native German speaker) are long-time residents of Prague and have fulfilled a childhood dream with the opening of this bookstore. They are passionate about books and can naturally order any other title, which may be on your wish list. 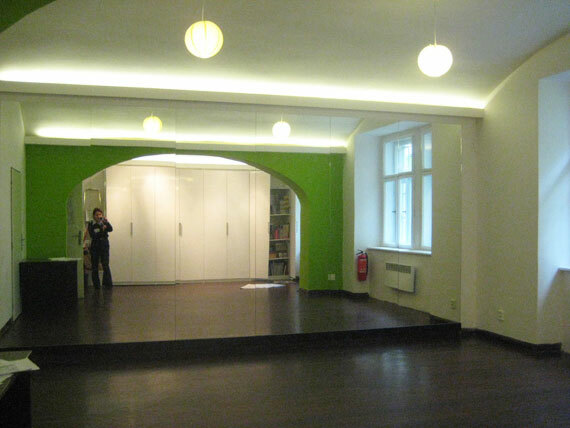 On the premises, there is also a large room, which has been designated for music courses, birthday parties, and various other activities and events. I was told of a recent birthday party, which used the book 365 Penguins (in German) as its theme and the party revellers not only read the book together but also did some dancing, singing and craft – all based on the topic of penguins. By the end of September, regular, weekly courses will be held in the event room, one of the first being the Musikgarten music course for babies aged up to 18-months together with their mums (to be run by a qualified German teacher). There are many other events and courses planned in the next few months and beyond – all of which shall be advertised on the bookstore’s website. OPEN: Mon: 9am-1pm; Tue-Fri: 9am-6pm; Sat:10-1pm. By Metro: Yellow Line B to Andel (300m walk to the shop). By Car: Guarded, paid parking is available across the street at the Square of 14.Rijna or at Novy Smichov Shopping Complex (free for 3 hours during the week and for 5 hours on weekends).